What impulse drove ancient cultures to create sites like Stonehenge, Machu Picchu, and the pyramids at Giza? Why are we so transfixed by their presence today? And what do they reveal about our ancestors-and humanity? 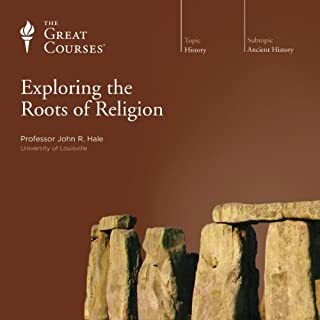 The dynamic force of religious belief is responsible for some of the world's most popular and ancient locales. Trying to understand our human origins has always been a fundamental part of who we are. Today, with the help of dramatic archaeological discoveries and groundbreaking advancements in technology and scientific understanding, we are closer than we've ever been to learning the true story. In recent decades, it has been the science of paleoanthropology that has led the investigation, helping us make sense of this controversial subject and providing us with a richer understanding of our origins. 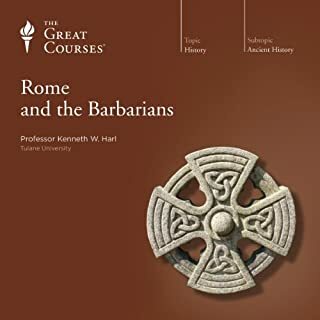 Unlike a traditional survey of history - with its focus on dates and events, kings and battles - The Big History of Civilizations is your chance to apply this cutting-edge historical approach to the epic story of humanity around the world. 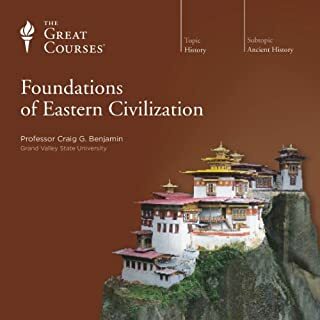 Taught by acclaimed Professor Craig G. Benjamin of Grand Valley State University, these 36 sweeping lectures trace the story of human civilizations from our emergence as a species, through the agricultural and industrial revolutions, and into the future. 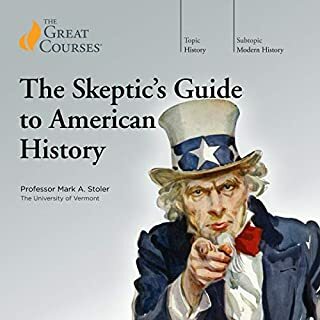 It only takes a few minutes of one lecture for you to discover that Big History is an amazing approach to history. 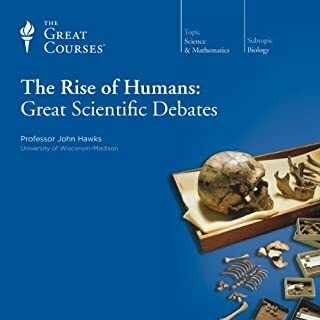 Its grand vision will give you powerful new insights into human civilization, and it offers a profound analysis of some of our biggest questions: What makes us human? Where did we come from? And where are we going? There may be no easy answers, but Professor Benjamin takes you on a powerful journey to the limits of our understanding. 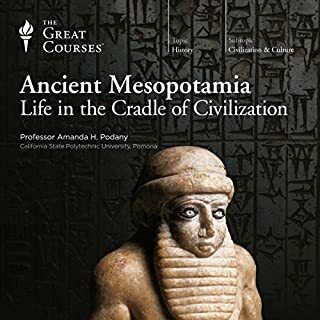 What differentiates big history from any other field is the way it combines divergent fields, from archaeology and anthropology to ecology and philosophy, and ties them together, allowing you to see patterns of our past, present - and even future. 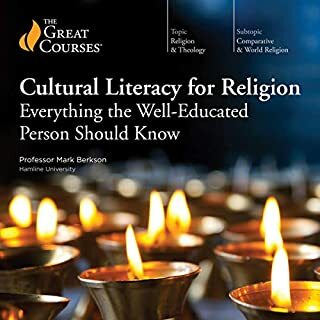 From the just-right "Goldilocks factors" that allow civilizations to emerge to different ways civilizations have emerged across time and around the word, this riveting approach to history offers a multidisciplinary toolkit to tell the story about what makes us human. 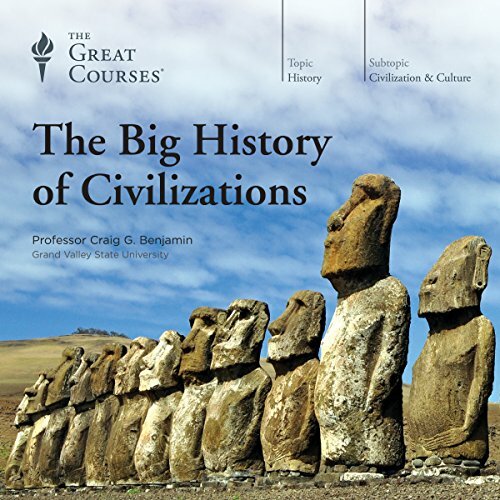 Brilliant outline of the rise and fall of civilizations over the last 10,000 years. (Is that all it's been?) Benjamin is an enthusiastic lecturer and manages to cram an amazing amount of information into each lesson. It ends with a vision of human possibilities a billion years into the future. I would have wished for only one change, and even at that I'm not sure how it could fit in without breaking the delicate balance of the course's trajectory. 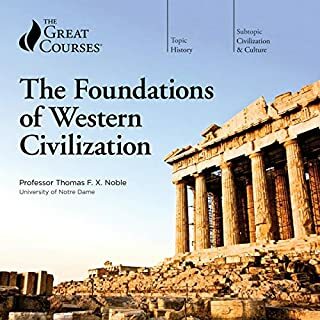 The 19th and 20th centuries are well covered in a couple of powerhouse lessons; I wish they'd been matched by a single lesson (at least) on the earlier history of Europe. It gets short shrift here. But there's no fat in the course that could be trimmed to make room for this. Ultimately I guess the intention was to represent more fully the civilizations that are often glossed over in "world histories." Benjamin's history is truly global. One feature is the emphasis he places on environmental issues. The environment has played a far greater role in enabling the rise and fall of human societies than is usually recognized. And that in turn leads to the almost prophetic themes of the conclusion of the course. Humans as a species have dominated far more than their share of the planet's resources, and we have upset the apple cart to such an extent that our own survival is in question. It's the only planet we have. We need to act urgently to reduce our footprint. If you could sum up The Big History of Civilizations in three words, what would they be? 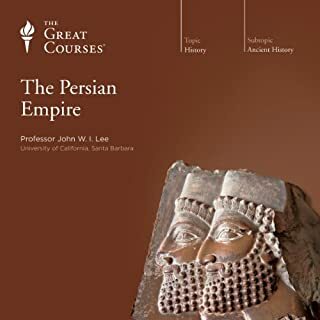 What other book might you compare The Big History of Civilizations to and why? 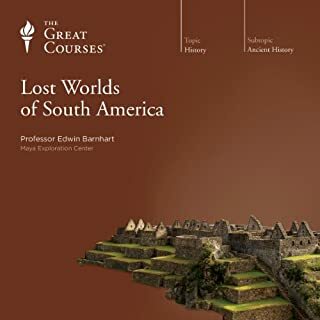 Any other History of the World or development of civilizations. It is so comprehensive, there is nothing I can compare it to. What about Professor Craig G. Benjamin’s performance did you like? Very well organized and presented. So very much to cover. He backs up his facts with reason as well as proven discoveries. Interesting voice too. No emotional reaction except sympathy for those in the past. We have a scarier world now, but more comfortable. Sometimes, force of will kept me listening because it is a long lecture. You must appreciate history, evolution of society/civilization, humans innate desire to expand what they have or dominate, conquer, and use of ingenuity. His ending was a bit pessimistic. Not that he is wrong in his assumptions based on past human events such as using up natural resources and polluting what is here. Because of awareness today and people willing to take action, we have a slight chance to make our world sustainable for next generations. Colonization of new planets a possibility, nations working together, new sources of energy that can be mined, extracted, or created are possibilities but far fetched. More likely we will succumb to nuclear holocaust so final chapters were a bit scary. Should be required reading for all high school and college students. We depend on them for action to save our planet. 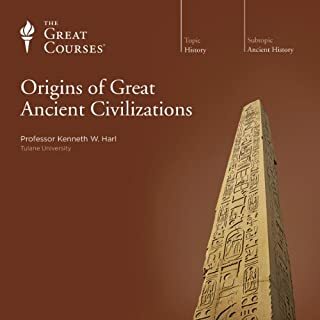 What disappointed you about The Big History of Civilizations? The delivery was dull, and content was receptive and punctuated with constant references to "Big History". 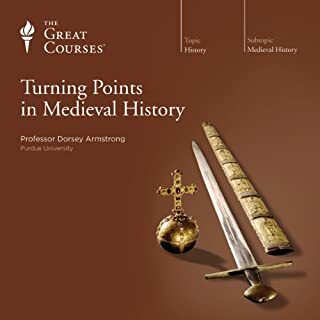 I am intrigued by patterns in history and thought this might interesting, however, by lecture five I had not learned one thing that I did not already know so I gave up. Yes, I have listened to two excellent series, one was so good that I listened to it twice. Less self promotion and more sophisticated content. What didn’t you like about Professor Craig G. Benjamin’s performance? I don't know where to begin. He speaks in a mechanical, repetitive way--every sentence has the same delivery and intonation. He doesn't sound like he is talking naturally, more like he's reading a powerpoint presentation. But the worst part is that he is constantly interrupting his own lecture to promote his "Big History" brand of scholarship. It's more of an academic infomercial than a course. He can't seem to stay on any topic, because he keeps feeling the need to stress why his approach to history is so important. I understand that the whole idea is to make broad connections, but he jumps around so much that he starts sounding as though he has ADD. 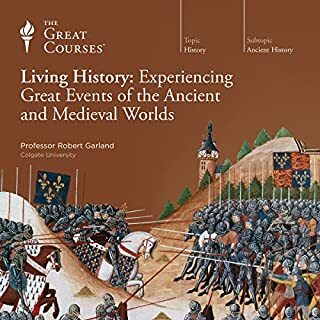 I love ancient history and can usually listen to lectures endlessly but I couldn't get through more than an hour of this before I turned it off in disgust. Sometimes it's great to take a very wide scope, you can start to see connections in events that are not apparent when looking closer at the details. 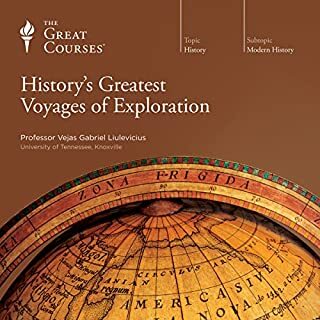 This was a fun survey of world history and an enjoyable listen. The presenter betrayed himself as a libertarian in an early lecture with a flippant statement about modern taxation. I don't know if this was intentional but it was useful in knowing his biases. 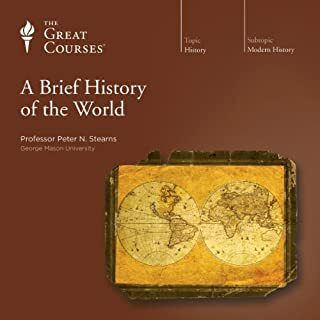 He kept it all inbounds and remained reasonably objective throughout his analysis of the major themes in world history. This is an example of how an honest portrayal of our own biases can enhance a cogent argument rather than detract from it. Helps in understanding the present and future. We do repeat the past. Good for future thinking. I enjoyed the introduction and chapter 6. The middle has too many facts and not enough of the themes that interested. Then chapter 30 through the end I thought was just great. The amount of work this took for the professor is staggering, just look at the bibliography. He has a good presentation as well. 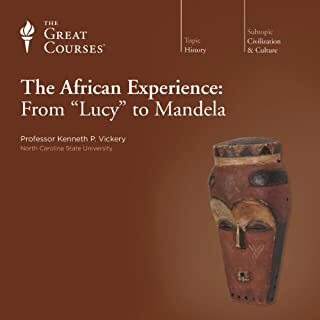 It is one of the most interesting and thought provoking courses in The Great Courses series. 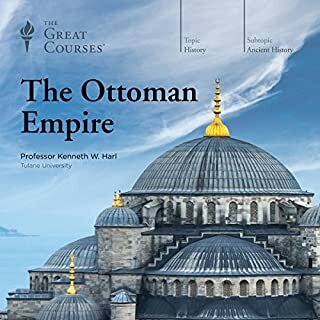 I would have liked a broader topic like military history and innovation combined into one chapter rather than scatter the topic around to each civilization. The same for trade influences, religion, etc. instead I got a little board going through the history of each geographical area, but only a little. I will listen to this again and get more out of it. That is a sign of a great course. Oh dear... Perhaps I am less familiar with the concept of 'big history' than I ought to be, but this course was not very riveting. It seemed designed for someone who has never studied or considered history; i.e., the ideas presented are so obvious that they became tiring. Consequently, I learned nothing from the first 8 chapters, which was really all I could manage. 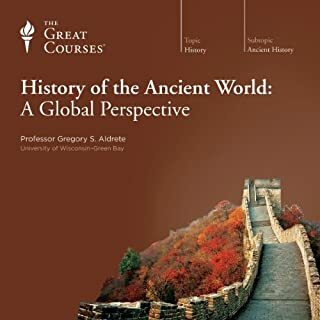 If you have other great courses on ancient history you don't need this one. While I appreciate the synthesis of information this whole premise of 'Big History' seems a bit contrived to me. This is basically a History 101 survey class. The professor lectured in a way that was a bit too much like you are listening to a slick History Channel show. Thus, I found it hard to connect with him and his personality. The Australian accent was a bit distracting, too.